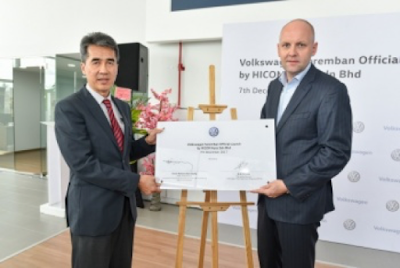 It was a momentous occasion yesterday as Volkswagen Passenger Cars Malaysia (VPCM) and Hicom Auto Sdn Bhd opened the first authorized service centre in Seremban. This is the second Volkswagen 3S Centre by Hicom Auto after opening Volkswagen Semenyih in April last year. With an expanse of 2,298 square metres, it is able to accommodate eight cars for display, and a guest lounge. It also has 13 service bays that can service up to 20 cars daily, manned by 18 experienced after-sales consultants. 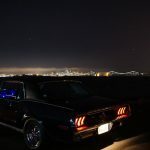 The 3S Centre is located in the heart of the automotive enclave, the Oakland industrial area. As it is the norm nowadays to provide a total customer service experience, the centre also provides “pick-up & drop-off” service for customers who live within a five-kilometre radius from the centre. On top of that, sales consultants will deliver new vehicles to the customer’s home or office, if requested. It’s official…Rohime (left) and Winter signed a commemorative plaque officiating the launch. “VPCM will continue to work closely with our dealer partners to ensure constant improvement and enhancement to our dealer network, and towards the overall ownership experience. We enjoy a good relationship with Hicom Auto and DRB-HICOM, and we feel that this new 3S Centre further demonstrates the commitment shown by the Group. Congratulations Hicom Auto on today’s launch and thank you for your commitment to the brand,” said VPCM Managing Director, Erik Winter. An initial investment of RM1.5 million by Hicom Auto Sdn Bhd was spent for the build-up, purchase of Volkswagen-approved equipment, training and staff acquisition. The centre will be able to cater to customers from Seremban 2 as well as Negeri Sembilan. “We are indeed confident that the collaboration between Volkswagen and DRB-Hicom, which personifies the coming together of two industry-leading brands, will continue to pave the way for a mutually beneficial long-term partnership. 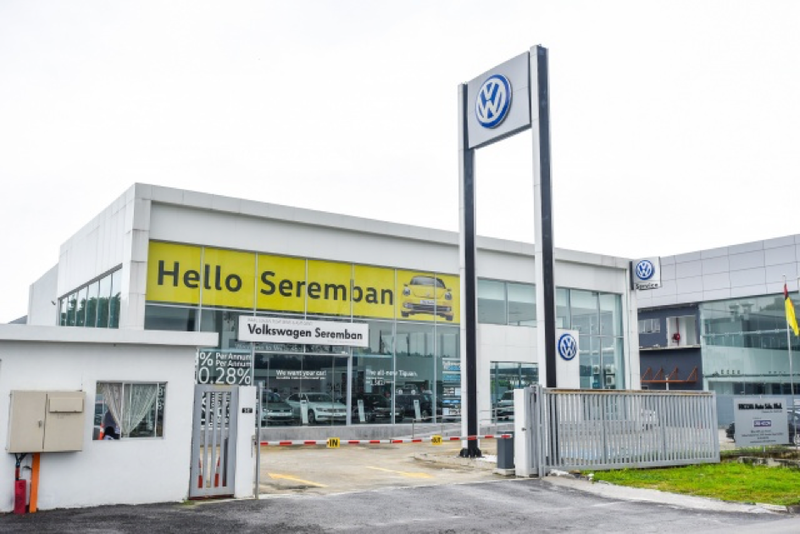 The Volkswagen Seremban 3S Centre will set the benchmark for further improvements within our network both in sales as well as after-sales service. 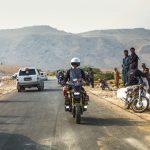 With the growing demand for Volkswagen cars, our customers can now expect to find that waiting time for service slots will be significantly reduced, and the service as well as maintenance activities will be quicker and more convenient to all,” added Rohime Shafie DRB-HICOM, Head of Automotive Operations. The centre operates daily: Monday to Saturday, from 8.30am to 7pm and on Sunday and public holidays, from 10am to 6pm. After-sales services are available from Monday to Friday from 8.30am to 5:30pm and Saturdays, 8:30am to 1pm.